Dr Janil Puthucheary, 45, was elected Member of Parliament in 2011. He is currently Senior Minister of State, Ministry of Communications and Information and Ministry of Transport. He chairs OnePeople.sg, which works to promote racial harmony in Singapore; and the Young PAP, the youth wing of the People's Action Party. Zhao Changpeng is the founder of Binance and in just 180 days, he went from the CEO of a start-up, to CEO of the largest cryptocurrency exchange in the world. He is a 41 year old Chinese/Canadian coder who spent his youth flipping burgers before studying at McGill University Montreal. He then spent time in Tokyo and New York, first building systems for matching trade orders, then developing software for Bloomberg's futures trading on Wall Street. In 2005 he quit his high flying role and moved to Shanghai to start Fusion Systems. It was there that he learnt about Bitcoin before joining Blockchain.info as the Head of Technology. Then, when the ICO boom began, he decided to launch Binance and raised a total of 15 million dollars in the token sale. Binance has become the most popular and the largest trading volume exchange in the world with supporting 148 coins and 328 trading pairs. Matthew Roszak is a leading blockchain investor, entrepreneur and advocate. Mr. Roszak is chairman and co-founder of Bloq, a blockchain technology company and the creators of Metronome, a next generation cryptocurrency. Mr. Roszak is also founding partner of Tally Capital, a private investment firm focused on cryptocurrencies and blockchain-enabled technology, with a portfolio of market leading companies including: Binance, Block.One, Blockstream, Civic, Genaro, Orchid, Polymath, Rivetz, Spacechain, tZERO and Qtum. Mr. Roszak serves as chairman of the Chamber of Digital Commerce, the world’s largest trade association representing the blockchain industry - and the founder of the Token Alliance, an industry-led initiative developing best practices and standards for the responsible issuance of tokens. In addition, Mr. Roszak serves on the board of BitGive, a nonprofit foundation that improves philanthropic impact with blockchain technology. Mr. Roszak is also the founder of the Chicago Blockchain Center, a public-private partnership with the State of Illinois, CME Group, DRW and Lightbank. Mr. Roszak was a producer of the industry’s first ever documentary, The Rise and Rise of Bitcoin. Mr. Roszak is a sought after thought leader on blockchain technology, and has testified as an expert before U.S. Congress and spoken at the U.S. Federal Reserve. Mr. Roszak has presented at TEDx, been featured on CNBC and quoted in The Wall Street Journal, Bloomberg and Financial Times. In addition, Mr. Roszak has been a keynote speaker at fintech conferences worldwide, including Money20/20, CES and Consensus. Bobby Lee is the co-founder of BTCC (formerly BTCChina), the first bitcoin exchange in China and the leading bitcoin financial platform worldwide. Before BTCC, Mr. Lee was Vice President of Technology for Walmart's e-commerce business in China. Previously he was the CTO of SMG BesTV New Media, the largest IPTV operator in China with the most subscribers globally. He moved to Shanghai in 2007 and started off at EMC’s China Center of Excellence, as Director of Software Engineering, with responsibilities for Cloud Computing and Cloud Storage. Mr. Lee started his career in Silicon Valley as a software engineer at Yahoo!, and led the development of the earliest online communities. He graduated from Stanford University with B.S. and M.S. degrees in Computer Science, and was a member of the Mayfield Fellows Program. He earned an EMBA degree from CEIBS in China. Mr. Lee currently serves on the board of Bitcoin Foundation, a non-profit organization that fosters the adoption of bitcoin globally. In his spare time, he enjoys traveling, photography, watching movies, and playing poker. Mai, or more popularly known as “Miss Bitcoin” has been immersed in the crypto-space since 2011, establishing her footprint in the industry with an impressive resumé. She is the founder of Gracone, a company that helps connect businesses in the blockchain / cryptocurrency industry. Also founder of crypto donation platform KIZUNA. She’s an advisor to GMO Internet, BitPoint, LayerX, BRD, MediBloc and Zeex,etc..Providing counsel for their blockchain / cryptocurrency endeavors. Anderson Tanoto is a Director of RGE, a group of world-class companies in resource-based manufacturing industries operating in Indonesia, China, Brazil, Spain and Canada, with over US$18 billion in assets and a workforce of over 60,000 people. He provides strategic direction on the sustainability and conservation initiatives of business groups managed under RGE. Anderson has been recognized for his stewardship for the Riau Ecosystem Restoration (RER), a multi-stakeholder project to conserve 150,000 hectares of unique peat swamp in Kampar Peninsula. He recently provided strategic counsel for SUSTAIN, an industry effort using blockchain technology to address traceability and landscape-level sustainability issues across the palm oil supply chain. Anderson is passionate about community development and philanthropy. He is actively involved in the Tanoto Foundation, which was founded in 1981 by the Tanoto family rooted in the guiding principle that “everything we do stems from the belief that education accelerates opportunity, realises potential, creates choice and improves lives.” As a Board member of the Foundation, Anderson drives various foundation initiatives focusing on Indonesia’s future generations. Prior joining the family’s business, Anderson was a consultant at Bain & Company. He holds a Bachelor of Science in Economics from University of Pennsylvania, Wharton School. Olga Feldmeier is CEO of SMART VALOR, a Swiss-based blockchain start-up building a decentralized marketplace for tokenized alternative investments. Olga has extensive experience working in the banking and financial services sector for global brands such as Barclays Capital, UBS Wealth Management and Boston Consulting Group, where she focused on strategy projects at financial institutions such as Deutsche Bank, Unicredit and Commerzbank. Prior to founding SMART VALOR, Olga held the position of Commercial Managing Partner at prominent Silicon Valley Bitcoin startup Xapo. Olga is a prominent founding member of the Crypto Valley community, and is the producer of series of blockchain conference in Switzerland (ICO Summit and Crypto Summit) the first global conference in Switzerland focusing on blockchain. She is also a mentor at the largest European accelerator program, Kickstart Accelerator, and regularly delivers talks at conferences and universities on Bitcoin, the regulation in blockchain industry, the tokenization of assets and the disruption of the banking industry. In his current role as the Founding Chief Executive Officer of SGInnovate – a private limited company wholly owned by the Singapore Government – Mr Leonard has been chartered to lead an organisation that builds ‘deep-tech’ companies. Capitalising on the science and technology research for which Singapore has gained a global reputation, Mr Leonard’s team works with local and international partners, including universities, venture capitalists, and major corporations to help technical founders imagine, start and scale globally-relevant early-stage technology companies from Singapore. Ms Angelina Kwan is currently the Chief Operating Officer of the Bitcoin Mercantile Exchange (BitMEX) and has responsibility over BitMEX’s operations around the world. She most recently established and ran the Regulatory Compliance Department and the HKEX Foundation Limited at Hong Kong Exchanges and Clearing Limited. Ms Kwan has extensive experience in Asia Pacific and the United States, in running businesses, business development, as well as investor and stakeholder relations. She started her career at KPMG and has held senior management, committee and/or board positions with the Securities and Futures Commission of Hong Kong, and other multinational companies and financial institutions. She is currently a Hong Kong Government appointed member of the Women’s Commission, the Council for Sustainable Development, the Administrative Appeals Board, and the Lord Wilson Heritage Trust, a Director and Chair of the Audit Committee of the Securities Industry Development Corporation of Malaysia, Vice Chair and Director of the The Women’s Foundation, a Director of the Hong Kong Securities Institute, a Fellow and Member of the Hong Kong Institute of Certified Public Accountants, an Honorary Adjunct Professor of Finance of the Hong Kong Polytechnic University, and serves on a number of other Boards and Committees. She lectures frequently for various international government and regulatory organizations as well as course providers. Ms Kwan is a Certified Public Accountant in the United States and Hong Kong and a graduate of the University of Southern California. Her MBA is from Pepperdine University and LLB from the Hong Kong University and Manchester Metropolitan University. Phil Yuen is the Chief Executive Officer at Passport and Chief Technology Officer, Head of Special Projects at Tink Labs. He is responsible for product development and leads handy’s Engineering and Development Team. An experienced entrepreneur and innovator, Phil was part of the famed Y-Combinator First Batch in 2006. He founded and served as the CEO of TextPayMe, the mobile payment system which eventually became Amazon Payments. Following TextPayMe’s success, Phil founded CupidsPlay, a social gaming site later acquired by Zynga, before joining the handy team. Phil began his tech career at Microsoft, after graduating with degrees in Computer Science and Mathematics from Cornell University. Phil currently holds 19 patents in mobile payments, transactional security, and authorization services. 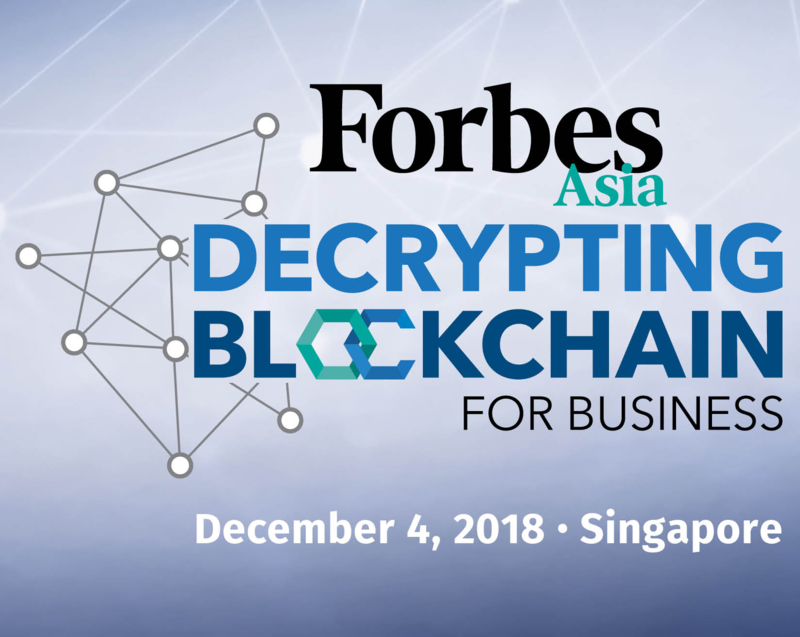 Remington Ong is a partner at Fenbushi Capital, one of the earliest and most active blockchain-focused venture capital firms, where he has managed investments into over 40 leading startups around the world leveraging blockchain technology to disrupt a wide range of industries. He is also an advisor to BlockAsset, a leading digital asset investment firm. He has over 10 years of experience in investment banking and private equity in China, including as a senior analyst covering Asia TMT at Merrill Lynch and as a management consultant at L.E.K. Consulting. He is also an experienced entrepreneur whose startups have attracted funding from top global VCs. Remington graduated with an MBA from INSEAD and a BS in Electrical Engineering from UCLA. Greg Li is the Head of Asia Pacific for The Bitfury Group, the leading global full-service blockchain solutions company. Mr. Li has more than 25 years of management, strategy and business development experience in the hi-tech and financial services industries. He has extensive experience in pioneering the sales and development of new and cutting-edge services and solutions, including blockchain, cryptocurrency, reinsurance, telecom infrastructure, network security and more. Mr. Li has served as the Executive Director of the Li Xing Foundation, a non-profit education foundation for children in China. He has an MBA from The Wharton School, University of Pennsylvania, a Master’s degree in Buddhism from the University of Hong Kong, and a Bachelor’s degree from Cornell University. Tinku Gupta is the Head of Technology, where she is responsible for the overall planning, development and implementation of the company’s technology-related strategies and initiatives, as well as operations of SGX Technology environment. She was appointed as a member of the SGX Executive Management Committee on 1 May 2017. Ms Gupta joined SGX in October 1996, in what was then known as SIMEX, as a software developer in the Technology team. Over the past 20 years, she has worked in a variety of roles, gaining exposure in many aspects of SGX’s business and Technology functions. Amongst her various job rotations, she successfully led the Business Integration and Programme Management function in SGX through a period of significant change and worked on implementing the current Securities and Derivatives platforms on NASDAQ applications. She also headed the Market Data and Connectivity business, successfully establishing the co-location services business and launching the index business, before returning to head the Technology unit in November 2015. Under her Technology leadership, SGX is steadily strengthening its software development capabilities and building differentiated platforms to support its multi-asset class strategy. Steering experimentation on emerging technologies to enable transformation and innovation excites her to be a technologist in capital markets in this technology-led economy. Ms Gupta holds a Masters’ degree in Electronics and Telecommunications Engineering. Dave Chapman is an Australian serial entrepreneur with over a decade of experience in banking and financial technology, specializing in the analysis of low-latency pre-trade risk and order management systems. Throughout his investment banking career, Dave has been responsible for the design and implementation of a wide-ranging suite of trading platforms. Chapman served at HSBC, Credit Suisse, Barclays Capital, ABN AMRO and Bear Stearns, among other financial firms. In 2013, Chapman co-founded ANX International (ANX), one of the largest global blockchain solution providers. With five years of continuous success in comprising a wide spectrum of service units offering seamlessly-integrated business solutions and blockchain related technology development, Chapman has extended his leadership on critical roles as in the Executive Director of Branding China Group, Executive Chairman of OSL and CEO of ANXONE. Widely respected for his thought leadership in the cryptocurrency space, Chapman has frequently been invited to address the industry ecosystem on global media including Bloomberg TV and Radio, CNBC, CNN, CoinTelegraph, Citywire Asia, Bulletin, and Hong Kong Economic Journal. Chapman is also a frequent speaker at industry conferences and roundtables, participating in events organized by JP Morgan, HSBC, Morgan Stanley, Allianz, Nomura, the Hong Kong Institute of Bankers and more. Lon Wong brings with him over 30 years of experience in building businesses from engineering consultancy to network, and software applications. He is an internationally recognized veteran and thought leader in the blockchain space. He was the founder and first President of the world-class NEM.io Foundation, a billion-dollar global entity entrusted with the development and promotion of the open-source NEM blockchain technology. Lon established the first Blockchain center in Malaysia. Today, he heads another initiative which is set to push the envelope on the use of existing blockchain technology. This project, known as ProximaX, envisions to reimagine and evolve blockchain technology into a different paradigm. Lon also founded and spearheads Dragonfly Fintech Pte. Ltd., a fintech company that specializes in mobile payments using Blockchain technology, which is currently operating in Cambodia. Lon serves as advisor to several blockchain projects across the globe. He is often invited to speak in blockchain conferences and events, and regularly contributes papers and articles about the subject matter to publications, blogs and media internationally. He also invests in blockchain technology related projects and initiatives. Previously, Lon served as Vice-President of the Association of Consulting Engineers in Malaysia and on the Board of Engineers Malaysia, the Construction Industry Development Board of Malaysia, Standard and Industrial Research Institute of Malaysia, Energy Commission of Malaysia and was a member of the Green Building Index Accreditation Panel. As part of his impact investing activities, Lon funded a project in providing Applied Behavior Analysis therapy for children with Autism Spectrum Disorder and established an autism centre in Malaysia. Lon holds a Bachelor of Engineering (Honors), in Electrical Engineering from the University of New South Wales, Australia. Jehan Chu is co-Founder and Managing Partner at Kenetic, an institutional investment and advisory platform for blockchain and cryptocurrency. A former front-end developer, he started investing in cryptocurrency in 2013. Jehan founded the Ethereum HK community (2014), co-Founded the Bitcoin Association of Hong Kong (2014) and founded the Hyperledger HK community (2016). Jehan serves as co-Chairman of the Hong Kong Fintech Association Blockchain Committee, is a Fellow of the Singapore University of Social Science and member of the Global Patrons Board of San Francisco Museum of Modern Art, and holds a Bachelor’s degree from Johns Hopkins University and Master’s degree from HKU. Founder and CEO of the Qtum Foundation, Forbes China’s 30 under 30 (2017). Patrick discovered blockchain technology while researching for his Ph.D. in Communications and Information Systems at the Chinese Academy of Sciences in 2012. As a hero member of Bitcointalk, Patrick has more than 10,000 posts on this world leading forum. Meanwhile, his development manual <Build your own blockchain from 0 to 1> also attracted over 10,000 page views, made him one of the earliest and the most esteemed pioneers of blockchain technology in China. Patrick is most renown for his work as the Founder of Qtum, one of the leading blockchain platforms in Asia. At its core, Qtum combines the advantages of the Unspent Transaction Output (UTXO) model and the Ethereum Virtual Machine. The proof-of-stake consensus protocol of Qtum aims at tackling industry use cases more efficiently. Qtum's team is bringing smart contracts technology to connected devices, which will bridge the still-existing gap between blockchain and the business world. This development strategy will also widely improve the commercialization of blockchain technology and its practicality. As one of the most famous blockchain experts, Patrick has been interviewed by many world-class media outlets, such as the NASDAQ, CGTN, CNBC, CBN, People’s Daily & TechCrunch. Patrick is an assiduous blockchain evangelist, who loves to share his thoughts about the industry from his professional angle, analyze the trends and the potential opportunities. He selflessly shares his specialized knowledge and experience to the students all over. As a role model of young people, Patrick was also recognized and rewarded as the ‘Youth Innovation Leader’ by the Voices of Future, APEC China. Dr. Julian Hosp is the co-founder and president of the Singapore based company TenX, a leading blockchain company that makes cryptocurrencies spendable anytime anywhere in everyday life. To date TenX has received over 100M USD in funding. Prior to TenX, Julian was a 10-year professional athlete and a medical doctor. He co-authored COMIT, an open source protocol that allows interoperability between blockchains, connecting them to an agnostic network. He is the author of several bestsellers, such as “Cryptocurrencies simply explained” and “Blockchain 2.0 - more than just Bitcoin”, which have been translated into 15 languages and has sold over 100,000 copies. As a Speaker of the Washington Speakers Bureau he is frequently invited to global tech and entrepreneur events and government summits around the world and he is also a regular commentator in the media on current blockchain trends, the future of cryptocurrency and best practices. Loi Luu is a co-founder and CEO of Kyber Network, an on-chain liquidity protocol that powers decentralised applications, including but not limited to exchanges, funds, lending protocols, payments wallets. He also earned his PhD from National University of Singapore where he did research on cryptocurrencies, smart contract security and distributed consensus algorithms. Before starting Kyber, Loi developed Oyente, the first open-source security analyser for Ethereum smart contracts. He also designed the first sharding protocol for pubic blockchain which inspired Zilliqa. He continues to champion decentralisation and trustless properties of the Blockchain with Kyber Network, taking inspiration and developing value for the community. Genki Oda is founder and CEO of BITPoint. He is a serial entrepreneur and investor in Japan. At university, he founded his first venture company and sold-off in 2 years. After the exit, he started the investment for the venture companies and social entrepreneurs for more than 10 years. From 2012, he joined Remixpoint which is a listed company and appointed to the CEO. Remixpoint invest and development the business in the market of the deregulation. In 2016, Japanese government changed the law of the crypto and he founded BITPoint as a subsidiary of Remixpoint. BITPoint is the first licensed crypto company in Japan. The motto is Safety and Security. The security level is as the same quality as the security companies in Japan, no hacked and no server down. The BITPoint group is now operating not only in Japan, but also in Korea, Hong Kong, Malaysia, Thailand, Taipei, Singapore. The BITPoint group have the trading system to change the crypto to Fiat and the customer can get the local Fiat. We are now planning to grow the global network and make a bridge of the crypto-Fiat network globally. Alex is a serial web entrepreneur with more than 22 years of experience in the digital space, building and developing tech businesses. In the late 1990s, he pioneered Webcity, the web-based interactive tourism guide, before completing a buyout with retail giant Carrefour, and later merging with a competitor service and selling to Yelp. After co-founding Winamax (the largest French online poker room) and Chilipoker in 2006, the underpinning technology platform was sold to Bally Technologies (now Scientific Games). In 2013, he acquired the Global Poker Index (live Poker’s leading ranking authority) as well as The Hendon Mob (the largest live poker database in the world). Dreyfus recently raised $66 million through a private token sale for chiliZ - a democratic team management platform that aims to revolutionise the worlds of sports and esports, through blockchain technology and smart contracts. The first white label application of the chiliZ platform is Socios.com, which offers a turnkey solution for football and sports clubs looking to adopt blockchain technology to monetise their fan bases through ICOs. To boost blockchain innovation in Malta, Dreyfus has also established the chiliZ Blockchain Campus - a new fintech epicenter that will house world-leading exchanges, crypto-friendly European banks, and leading blockchain media groups. Justin Doebele is one of the most experienced Forbes executives in Asia. He is currently the Executive Director - Content at Forbes Asia, based in Singapore from July 2018. Before that he managed and edited Forbes Indonesia from its launch in 2010. At Forbes Indonesia, he has led the team in creating one of the most successful business publications in the country, as well as launching ForbesLife Indonesia in 2014, now one of the most successful lifestyle media brands in the country. Before relocating to Jakarta, he was with Forbes in Singapore, where he set up the Singapore bureau for Forbes Global, and launched and managed the noted Asia Rich Lists for Forbes. He also played a major role in the launching of Forbes India, and worked closely with Forbes partners in China, Japan, Korea, Mongolia and Thailand. He has a BA from Harvard and MS in Journalism from Columbia University. He is the former president of the Jakarta Foreign Correspondents Club, the former Vice President of the Foreign Correspondents Association of Singapore, and a lifetime member of both the Singapore Press Club and the N.Y.-based Council on Foreign Relations. I report on how blockchain and cryptocurrencies are being adopted by enterprises and the broader business community. My coverage includes the use of cryptocurrencies such as Bitcoin, Ethereum and Ripple, and extends to non-cryptocurrency applications of blockchain in finance, supply chain management, digital identity and a number of other use cases. Earlier this year I addressed a group in the United Nations on the potential impact of blockchain on philanthropy. Previously, I was a staff reporter at blockchain news site, CoinDesk, where I covered the increasing willingness of enterprises to explore how blockchain could make their work more efficient and in some cases, unnecessary. I have been covering blockchain since 2011, been published in the New Yorker, and been nationally syndicated by American City Business Journals. My work has been published in Blockchain in Financial Markets and Beyond by Risk Books and I am regularly cited in industry research reports. Since 2009 I’ve run Literary Manhattan, a 501 (c) (3) non-profit organization dedicated to showing Manhattan’s rich literary heritage. Pamela covers wealth, blockchain and the crypto economy as a senior reporter across digital and print platforms. Prior to Forbes Asia, she served as on-air foreign correspondent for Thomson Reuters’ broadcast team, during which she reported on global markets, central bank policies, and breaking business news. Before Asia, she was a journalist at NBC Comcast, and started her career at CNBC and Bloomberg as a financial news producer in New York. She is a graduate of Columbia Journalism School and holds an MBA from Thunderbird School of Global Management. Her work has appeared in The New York Times, Washington Post, Yahoo, USA Today, Huffington Post, and Nasdaq. Pamela’s previous incarnation was on the buy side in M&A research and asset management, inspired by Michael Lewis’ book “Liar’s Poker”. Rana joined the Forbes’ Hong Kong office as a Senior Digital Editor in October 2015 to kickstart Forbes’ successful Under 30 franchise in the APAC region. She has since edited all three editions of the 30 Under 30 Asia list and directed the programming for Forbes Under 30 Asia Summits. Apart from building Asia’s network of successful young entrepreneurs through this annual list, Rana has been recently promoted to be a key member of Forbes Asia operations, handling special projects that seek to expand the brand’s footprint in the region. Born and bred in Beirut, Lebanon – Rana’s eclectic journey has taken her from Dubai to Singapore and now Hong Kong where she’s worked at global newsrooms taking on various editorial roles, last of which is APAC Group Editor in Chief for the Paris-based Reworld Media where she launched two lifestyle and fashion websites (Marie France Asia and BE Asia) setting their editorial strategy and growing their audience from day one. Before that, she ran an editorial fashion blog which focused on emerging Asian designers and grew a large following in Singapore and beyond. Be it tech or fashion - Rana is always inspired by the creativity, energy and talent of those who dare to take a risk and follow their passion – something she personally thrives on. Fascinated by Asia and its diverse culture, Rana loves to travel around the region and she’s equally fond of Asimov’s sci-fi novels and her skyhigh heels.